Virtual Car 360 is a new product created for businesses engaged in the selling of new and used cars, including for importers of the largest global brands. This innovative solution is the first of its kind in Europe for the total preparation of information, materials and presentations of real cars, online, in 360. The Virtual Car 360 brand manifested through a collaborative effort with leading automotive solutions companies - CSP Automotive and MakoLab. It is already established that this technology will revolutionise the sale of cars online. This solution is ready to both shorten and simplify the entire sales process in ways previously unrealisable. How the vehicle is presented is the key to acquiring car sales. Until now, the preparation of a car for display for promotional purposes required the work of a team of people, including a professional photographer who took 45 minutes on average to complete a photo session. During the session, it was necessary to ensure the proper environment was set up, with optimal lighting and the presence of a professional who could carry out the order as expected. What if the whole process could be shortened three-fold? 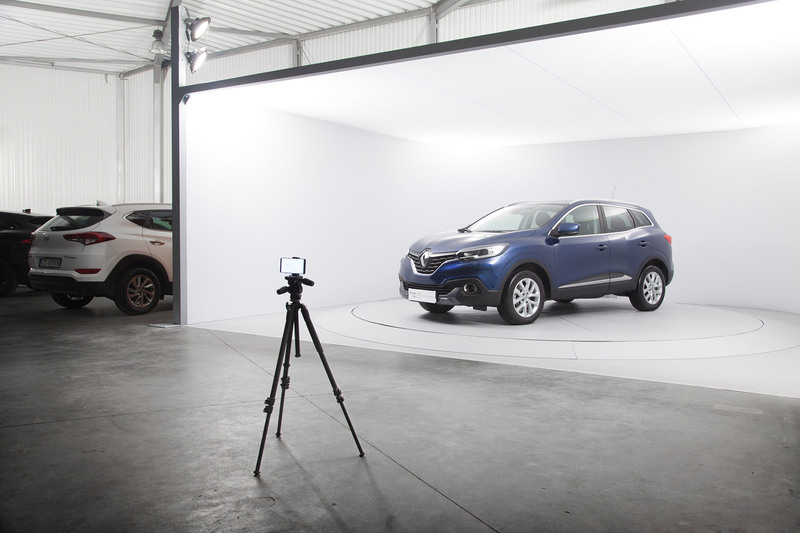 With Virtual Car 360, users can shorten the duration of such sessions down to just 15 minutes whilst simultaneously optimising their budget and obtaining high-quality photos, no matter who takes them. The virtual Car 360 solution allows you to take pictures that hold to a pre-established standard. In this way, the presentation of each offered vehicle has a similar style of appearance. The creators of the solution were sure to take into account the diverse uses and issues that face the work of those dealing in the professional sale of new and used cars online. Part of this consideration includes the continued improvement of the tool on a regular basis. What makes a Virtual Car 360? Among other things, the Virtual Car 360 Studio provides the perfect platform for allowing you to rotate the photographed car during a photo session without having to change the position of the camera. All that is needed is to drive the car on to a rotating surface and then start the application. The photo session, divided into four stages, is performed semi-automatically by the employees from the point of sale - all thanks to an application installed on a mobile device by MakoLab. The photos are then transmitted across the WIFI network directly to the Virtual Car 360 Manager application. At this point, users can then complete the offer in a few simple steps and then send it off to the web portals where it is to appear. Virtual Car 360 is an innovative tool that fully meets the needs and expectations of a modern user. Presentation of the car in a 360 view allows you to see the whole vehicle, just as if you were standing in the same room with it and being able to view its entire interior, not just selected fragments. Everything is showcased as part of the Virtual Car 360 Player on the website of the relevant dealer. The player, by utilising the materials from the photo session, allows for any rotation of the vehicle and the presentation of the interior through the 360-degree photo. The presentation of the vehicle can also be viewed on any mobile device. The creators made sure that all materials could automatical sync and operate on them. The scope and adaptability of this technology is of importance to car sellers. In effect, the player hosting the presentation of the vehicle can be placed on any and all relevant pages with car ads and adapted to the solutions currently used by sellers (including on websites like Otomoto, Gratka). By utilising the whole system, every entity involved in the sale of cars has the opportunity to optimise the process of preparing materials for online use and to gain an advantage through a modern, interactive and fully complete presentation of vehicles. VC 360 is also the perfect opportunity to build a professional sales platform for your brand.